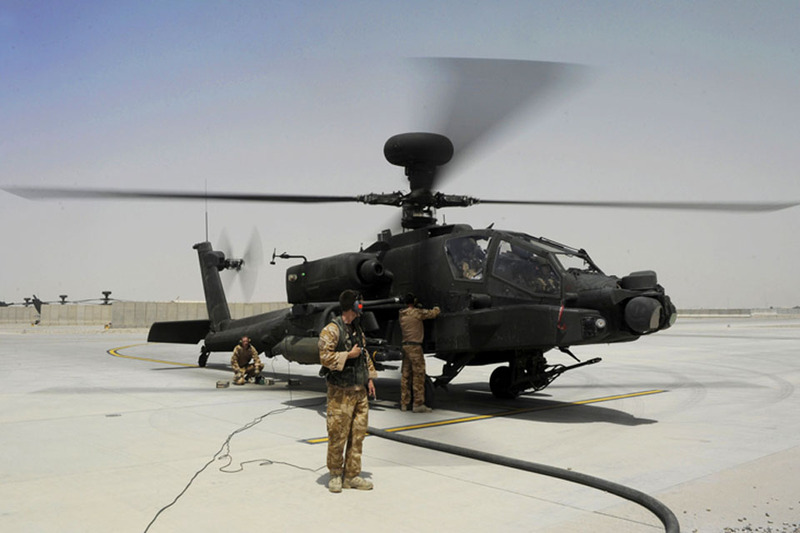 An Army Air Corps (AAC) Apache pilot with 20 years flying experience has clocked up his 5,000th hour in the air while currently deployed to Afghanistan. Captain Antony (Capt) ‘Thomo’ Thompson is coming to the end of an intense, five-month deployment to Afghanistan. 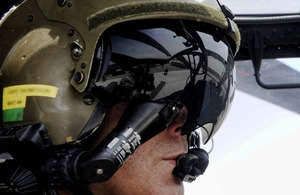 Spending up to eight hours a day in the cockpit of his attack helicopter, Capt Thompson and his fellow crew members have been protecting the men and women deployed out on the ground across Helmand province. The Army gave me a chance and everything I had done before that point did not matter anymore. I had a fresh start. I spent so much time in the aircraft watching what the pilots were doing I thought ‘how hard can this be?’” he said. “In 1990 I filled in my paperwork for aircrew selection. It gives everyone a fair crack at having the chance to fly, regardless of your background and qualifications,” said Capt Thompson. He worked hard and successfully completed his initial flight testing of three weeks, and was accepted into Flying Training at Middle Wallop. After 40 hours of flying a fixed wing aircraft, Capt Thompson converted to rotary and began his career as a helicopter pilot. It was really quite amazing to see the amount of people who would queue up just to see the aircraft. However,” he added, “we did put on a pretty good show; the crowds loved us. In 2002, after twelve years of flying, Capt Thompson converted to the Apache AH1 helicopter. With a wealth of experience behind him, he deployed from Wattisham to Afghanistan in April 2011 to take up the job that both he and his colleagues train for; supporting deployed troops on the ground. This has been a very challenging time, but it makes me feel better to know that the guys and the girls on the ground feel safe when we are up there watching over them. I congratulate Thomo on reaching 5,000 hours; a really significant achievement. Thomo’s skills, experience and example continue to bring on and encourage younger pilots. The sight and sound that the insurgents most fear over Afghanistan is that of the Apache helicopter. There are opportunities out there for everyone in life, but you have to be prepared to look for them. Don’t let your past stop you from changing your future.